All in One Renovations LLC is a DESIGN TO BUILD construction company, located in Bucks County, PA.
​We provide professional expertise to serve ANY of your home improvement and property maintenance needs. All in One Renovations LLC is a DESIGN TO BUILD construction company, located in Bucks County, PA. With our utmost commitment to quality workmanship on each and every project that we handle, we have rightfully earned the status of one of the best professional remodeling contractors in PA.Whether it’s kitchen remodeling or basement finishing, we provide professional expertise to serve ANY of home improvement and property maintenance needs in and around Yardley, New Hope, Newtown, Richboro, and surrounding areas in PA.
Why Choose All in One Renovations? Reputation is the key in our trade, therefore, we take every measure to ensure that we not only meet but exceed our client's demands. We strongly believe that your needs are of utmost importance. We take pride that most of our business is generated through referrals or come from repeat customers. We are interested in earning your trust and establishing long a term relationship with all of our clients. A personal approach with each project. Our company started in November 2008. Throughout the years, we have provided Bucks County residents with prompt and dependable construction services at a reasonable rate. As a small firm, we are able to work more personally and effectively with each client. While making an investment to improve your home, we recognize the concerns and stress involved in finding a trustworthy contractor. That is why we promise to offer you cost effective solutions while providing the best quality. With this kind of mindset, many homeowners in and around Yardley, New Hope, Newtown, Richboro have trusted and continuously trusting us to execute their home improvement projects. We are your one and only home improvement partner. We offer a full variety of construction services. 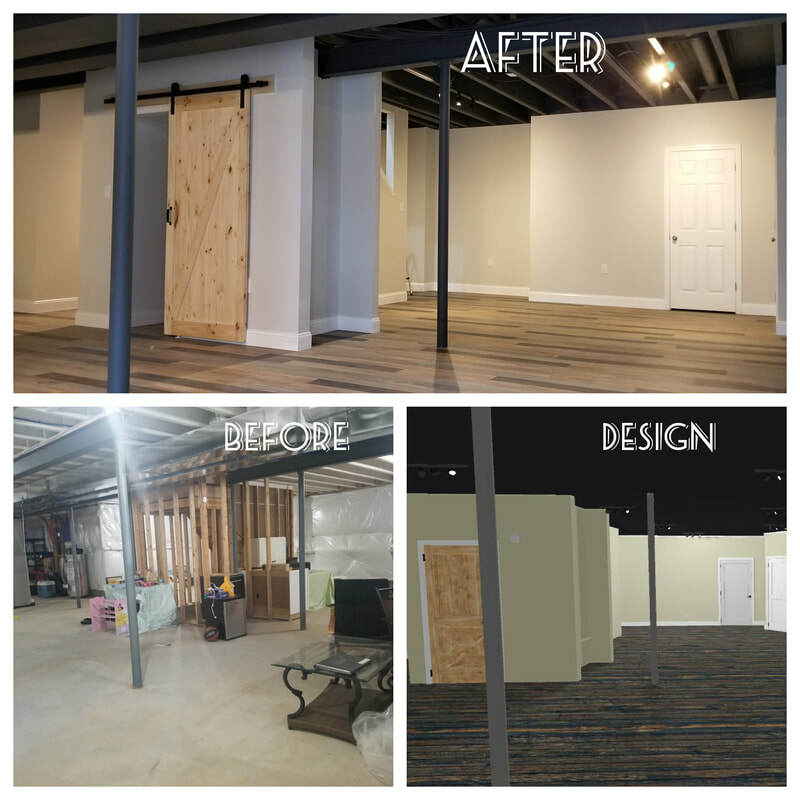 Whether your home needs an addition, updated or remodeled kitchen or bathroom, a finished basement, new flooring or simply a fresh coat of paint, do not hesitate to give us a call for a free estimate. We are a Design to Build construction company. From design to construction, our team provides the artistic flair, meticulous planning and efficient implementation to guide you through every step of the process. Be it the remodeling of your entire kitchen or a simple repainting of the interiors of the master’s bedroom, we are the contractor to reckon with because of our proven expertise in high quality of workmanship in any home improvement project. We are a fully insured and registered construction company. There are a few things that you should look for before any work is contracted. In addition to skill, experience, reputation as well as references, we are registered with the PA Attorney General. Nevertheless we are fully insured for both your protection and ours. Newtown, Langhorne, Bensalem, Yardley, Morrisville, New Hope, Solebury, Richboro, Washington Crossing, Buckingham, Holland, Jamison, Forest Grove, Fairless Hills, Levittown, Bristol Borough, Feasterville, Warrington, Warminster, Doylestown, Churchville , New Hope. Increase the market value of your home by doing some renovation or remodeling projects. And if you’re located in PA, there’s only one contractor to trust with for quality kitchen remodeling service Yardley PA, quality kitchen remodeling service New Hope PA, quality kitchen remodeling service Newtown PA, quality kitchen remodeling service Richboro PA, quality kitchen remodeling contractor service Yardley PA, quality kitchen remodeling contractor service New Hope PA, quality kitchen remodeling contractor service Newtown PA, quality kitchen remodeling contractor service Richboro PA, quality professional kitchen remodeling service Yardley PA, quality professional kitchen remodeling service New Hope PA, quality professional kitchen remodeling service Newtown PA, quality professional kitchen remodeling service Richboro PA, quality professional kitchen remodeling contractor service Yardley PA, quality professional kitchen remodeling contractor service New Hope PA, quality professional kitchen remodeling contractor service Newtown PA, quality professional kitchen remodeling contractor service Richboro PA, All in One Renovations! With years of experience in providing kitchen remodeling service Yardley PA, kitchen remodeling service New Hope PA, kitchen remodeling service Newtown PA, kitchen remodeling service Richboro PA, kitchen remodeling contractor service Yardley PA, kitchen remodeling contractor service New Hope PA, kitchen remodeling contractor service Newtown PA, kitchen remodeling contractor service Richboro PA, professional kitchen remodeling service Yardley PA, professional kitchen remodeling service New Hope PA, professional kitchen remodeling service Newtown PA, professional kitchen remodeling service Richboro PA, professional kitchen remodeling contractor service Yardley PA, professional kitchen remodeling contractor service New Hope PA, professional kitchen remodeling contractor service Newtown PA, professional kitchen remodeling contractor service Richboro PA, we have been trusted by many homeowners to conduct home improvement projects relating to kitchen remodeling Yardley PA, kitchen remodeling New Hope PA, kitchen remodeling Newtown PA, kitchen remodeling Richboro PA, kitchen remodeling contractor Yardley PA, kitchen remodeling contractor New Hope PA, kitchen remodeling contractor Newtown PA, kitchen remodeling contractor Richboro PA, professional kitchen remodeling Yardley PA, professional kitchen remodeling New Hope PA, professional kitchen remodeling Newtown PA, professional kitchen remodeling Richboro PA, professional kitchen remodeling contractor Yardley PA, professional kitchen remodeling contractor New Hope PA, professional kitchen remodeling contractor Newtown PA, professional kitchen remodeling contractor Richboro PA.
All in One Renovations started out in 2008 with the aim of providing prompt and quality kitchen remodeling service Yardley PA, quality kitchen remodeling service New Hope PA, quality kitchen remodeling service Newtown PA, quality kitchen remodeling service Richboro PA, quality kitchen remodeling contractor service Yardley PA, quality kitchen remodeling contractor service New Hope PA, quality kitchen remodeling contractor service Newtown PA, quality kitchen remodeling contractor service Richboro PA, quality professional kitchen remodeling service Yardley PA, quality professional kitchen remodeling service New Hope PA, quality professional kitchen remodeling service Newtown PA, quality professional kitchen remodeling service Richboro PA, quality professional kitchen remodeling contractor service Yardley PA, quality professional kitchen remodeling contractor service New Hope PA, quality professional kitchen remodeling contractor service Newtown PA, quality professional kitchen remodeling contractor service Richboro PA. Our team is well experienced and skilled, and equipped with the right tools to ensure that we deliver high quality of workmanship on all of our kitchen remodeling service Yardley PA, kitchen remodeling service New Hope PA, kitchen remodeling service Newtown PA, kitchen remodeling service Richboro PA, kitchen remodeling contractor service Yardley PA, kitchen remodeling contractor service New Hope PA, kitchen remodeling contractor service Newtown PA, kitchen remodeling contractor service Richboro PA, professional kitchen remodeling service Yardley PA, professional kitchen remodeling service New Hope PA, professional kitchen remodeling service Newtown PA, professional kitchen remodeling service Richboro PA, professional kitchen remodeling contractor service Yardley PA, professional kitchen remodeling contractor service New Hope PA, professional kitchen remodeling contractor service Newtown PA, professional kitchen remodeling contractor service Richboro PA. We take each and every project on kitchen remodeling Yardley PA, kitchen remodeling New Hope PA, kitchen remodeling Newtown PA, kitchen remodeling Richboro PA, kitchen remodeling contractor Yardley PA, kitchen remodeling contractor New Hope PA, kitchen remodeling contractor Newtown PA, kitchen remodeling contractor Richboro PA, professional kitchen remodeling Yardley PA, professional kitchen remodeling New Hope PA, professional kitchen remodeling Newtown PA, professional kitchen remodeling Richboro PA, professional kitchen remodeling contractor Yardley PA, professional kitchen remodeling contractor New Hope PA, professional kitchen remodeling contractor Newtown PA, professional kitchen remodeling contractor Richboro PA with utmost dedication to professionalism and efficiency. With this kind of vision, we have been deemed as a leading contractor which can execute quality kitchen remodeling service Yardley PA, quality kitchen remodeling service New Hope PA, quality kitchen remodeling service Newtown PA, quality kitchen remodeling service Richboro PA, quality kitchen remodeling contractor service Yardley PA, quality kitchen remodeling contractor service New Hope PA, quality kitchen remodeling contractor service Newtown PA, quality kitchen remodeling contractor service Richboro PA, quality professional kitchen remodeling service Yardley PA, quality professional kitchen remodeling service New Hope PA, quality professional kitchen remodeling service Newtown PA, quality professional kitchen remodeling service Richboro PA, quality professional kitchen remodeling contractor service Yardley PA, quality professional kitchen remodeling contractor service New Hope PA, quality professional kitchen remodeling contractor service Newtown PA, quality professional kitchen remodeling contractor service Richboro PA. In each and every project on kitchen remodeling Yardley PA, kitchen remodeling New Hope PA, kitchen remodeling Newtown PA, kitchen remodeling Richboro PA, kitchen remodeling contractor Yardley PA, kitchen remodeling contractor New Hope PA, kitchen remodeling contractor Newtown PA, kitchen remodeling contractor Richboro PA, professional kitchen remodeling Yardley PA, professional kitchen remodeling New Hope PA, professional kitchen remodeling Newtown PA, professional kitchen remodeling Richboro PA, professional kitchen remodeling contractor Yardley PA, professional kitchen remodeling contractor New Hope PA, professional kitchen remodeling contractor Newtown PA, professional kitchen remodeling contractor Richboro PA that we take, we work closely with our clients from planning until the execution. All of our kitchen remodeling service Yardley PA, kitchen remodeling service New Hope PA, kitchen remodeling service Newtown PA, kitchen remodeling service Richboro PA, kitchen remodeling contractor service Yardley PA, kitchen remodeling contractor service New Hope PA, kitchen remodeling contractor service Newtown PA, kitchen remodeling contractor service Richboro PA, professional kitchen remodeling service Yardley PA, professional kitchen remodeling service New Hope PA, professional kitchen remodeling service Newtown PA, professional kitchen remodeling service Richboro PA, professional kitchen remodeling contractor service Yardley PA, professional kitchen remodeling contractor service New Hope PA, professional kitchen remodeling contractor service Newtown PA, professional kitchen remodeling contractor service Richboro PA involves careful planning, regular consultation and coordination, and professional execution of the agreed upon plan. We want to make sure that we achieve the desired results of our clients on their kitchen remodeling Yardley PA, kitchen remodeling New Hope PA, kitchen remodeling Newtown PA, kitchen remodeling Richboro PA, kitchen remodeling contractor Yardley PA, kitchen remodeling contractor New Hope PA, kitchen remodeling contractor Newtown PA, kitchen remodeling contractor Richboro PA, professional kitchen remodeling Yardley PA, professional kitchen remodeling New Hope PA, professional kitchen remodeling Newtown PA, professional kitchen remodeling Richboro PA, professional kitchen remodeling contractor Yardley PA, professional kitchen remodeling contractor New Hope PA, professional kitchen remodeling contractor Newtown PA, professional kitchen remodeling contractor Richboro PA beyond their expectations. Whether it’s a simple kitchen remodeling service Yardley PA, kitchen remodeling service New Hope PA, kitchen remodeling service Newtown PA, kitchen remodeling service Richboro PA, kitchen remodeling contractor service Yardley PA, kitchen remodeling contractor service New Hope PA, kitchen remodeling contractor service Newtown PA, kitchen remodeling contractor service Richboro PA, professional kitchen remodeling service Yardley PA, professional kitchen remodeling service New Hope PA, professional kitchen remodeling service Newtown PA, professional kitchen remodeling service Richboro PA, professional kitchen remodeling contractor service Yardley PA, professional kitchen remodeling contractor service New Hope PA, professional kitchen remodeling contractor service Newtown PA, professional kitchen remodeling contractor service Richboro PA or overhaul of the entire kitchen, we’ve got you covered! Planning to get some kitchen remodeling service Yardley PA, kitchen remodeling service New Hope PA, kitchen remodeling service Newtown PA, kitchen remodeling service Richboro PA, kitchen remodeling contractor service Yardley PA, kitchen remodeling contractor service New Hope PA, kitchen remodeling contractor service Newtown PA, kitchen remodeling contractor service Richboro PA, professional kitchen remodeling service Yardley PA, professional kitchen remodeling service New Hope PA, professional kitchen remodeling service Newtown PA, professional kitchen remodeling service Richboro PA, professional kitchen remodeling contractor service Yardley PA, professional kitchen remodeling contractor service New Hope PA, professional kitchen remodeling contractor service Newtown PA, professional kitchen remodeling contractor service Richboro PA to spruce up the heart of your home? 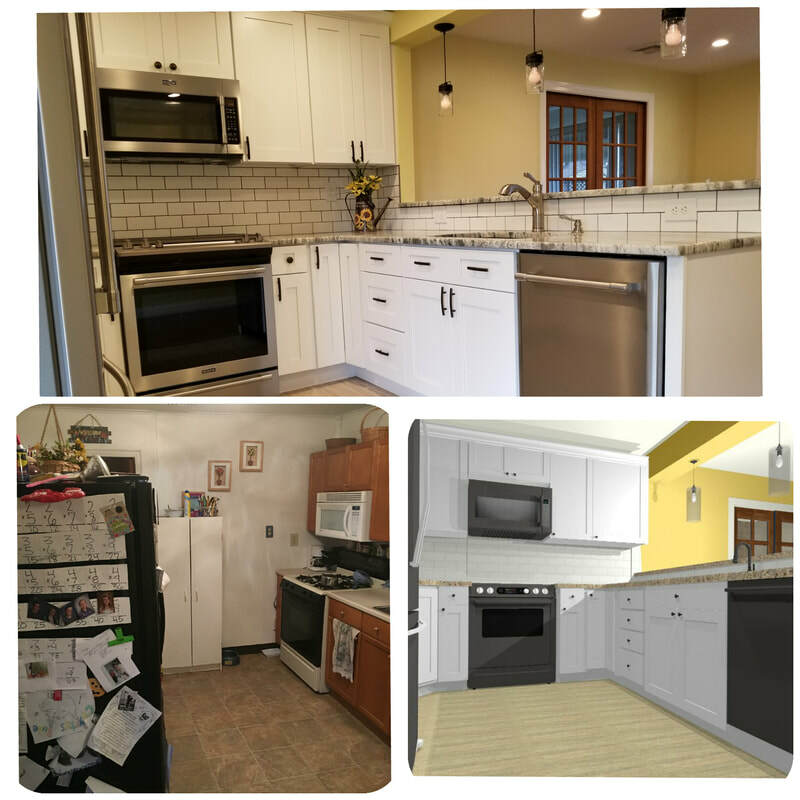 Why not get the amazing services on kitchen remodeling Yardley PA, kitchen remodeling New Hope PA, kitchen remodeling Newtown PA, kitchen remodeling Richboro PA, kitchen remodeling contractor Yardley PA, kitchen remodeling contractor New Hope PA, kitchen remodeling contractor Newtown PA, kitchen remodeling contractor Richboro PA, professional kitchen remodeling Yardley PA, professional kitchen remodeling New Hope PA, professional kitchen remodeling Newtown PA, professional kitchen remodeling Richboro PA, professional kitchen remodeling contractor Yardley PA, professional kitchen remodeling contractor New Hope PA, professional kitchen remodeling contractor Newtown PA, professional kitchen remodeling contractor Richboro PA of All in One Renovations! Among the services included in our kitchen remodeling Yardley PA, kitchen remodeling New Hope PA, kitchen remodeling Newtown PA, kitchen remodeling Richboro PA, kitchen remodeling contractor Yardley PA, kitchen remodeling contractor New Hope PA, kitchen remodeling contractor Newtown PA, kitchen remodeling contractor Richboro PA, professional kitchen remodeling Yardley PA, professional kitchen remodeling New Hope PA, professional kitchen remodeling Newtown PA, professional kitchen remodeling Richboro PA, professional kitchen remodeling contractor Yardley PA, professional kitchen remodeling contractor New Hope PA, professional kitchen remodeling contractor Newtown PA, professional kitchen remodeling contractor Richboro PA are cabinet resurfacing, changing the floor, upgrading light fixtures and appliances, installing backsplash, and plumbing works among others. These kitchen remodeling Yardley PA, kitchen remodeling New Hope PA, kitchen remodeling Newtown PA, kitchen remodeling Richboro PA, kitchen remodeling contractor Yardley PA, kitchen remodeling contractor New Hope PA, kitchen remodeling contractor Newtown PA, kitchen remodeling contractor Richboro PA, professional kitchen remodeling Yardley PA, professional kitchen remodeling New Hope PA, professional kitchen remodeling Newtown PA, professional kitchen remodeling Richboro PA, professional kitchen remodeling contractor Yardley PA, professional kitchen remodeling contractor New Hope PA, professional kitchen remodeling contractor Newtown PA, professional kitchen remodeling contractor Richboro PA are even offered at reasonable costs! With our amazing kitchen remodeling Yardley PA, kitchen remodeling New Hope PA, kitchen remodeling Newtown PA, kitchen remodeling Richboro PA, kitchen remodeling contractor Yardley PA, kitchen remodeling contractor New Hope PA, kitchen remodeling contractor Newtown PA, kitchen remodeling contractor Richboro PA, professional kitchen remodeling Yardley PA, professional kitchen remodeling New Hope PA, professional kitchen remodeling Newtown PA, professional kitchen remodeling Richboro PA, professional kitchen remodeling contractor Yardley PA, professional kitchen remodeling contractor New Hope PA, professional kitchen remodeling contractor Newtown PA, professional kitchen remodeling contractor Richboro PA services, you can have your dream kitchen without breaking your pockets! We provide quality yet still very affordable kitchen remodeling Yardley PA, kitchen remodeling New Hope PA, kitchen remodeling Newtown PA, kitchen remodeling Richboro PA, kitchen remodeling contractor Yardley PA, kitchen remodeling contractor New Hope PA, kitchen remodeling contractor Newtown PA, kitchen remodeling contractor Richboro PA, professional kitchen remodeling Yardley PA, professional kitchen remodeling New Hope PA, professional kitchen remodeling Newtown PA, professional kitchen remodeling Richboro PA, professional kitchen remodeling contractor Yardley PA, professional kitchen remodeling contractor New Hope PA, professional kitchen remodeling contractor Newtown PA, professional kitchen remodeling contractor Richboro PA services! Visit our website or call us to know more about our kitchen remodeling Yardley PA, kitchen remodeling New Hope PA, kitchen remodeling Newtown PA, kitchen remodeling Richboro PA, kitchen remodeling contractor Yardley PA, kitchen remodeling contractor New Hope PA, kitchen remodeling contractor Newtown PA, kitchen remodeling contractor Richboro PA, professional kitchen remodeling Yardley PA, professional kitchen remodeling New Hope PA, professional kitchen remodeling Newtown PA, professional kitchen remodeling Richboro PA, professional kitchen remodeling contractor Yardley PA, professional kitchen remodeling contractor New Hope PA, professional kitchen remodeling contractor Newtown PA, professional kitchen remodeling contractor Richboro PA.